We at RAINEY ENGINEERING SOLUTIONS pride ourselves in not only supplying quality products but also providing first class service & support of these products to our customers. Our engineers have extensive technical knowledge and years of experience and are able to work closely with our customers to enable you to optimize processes, enhance your competitiveness and increase your productivity & profitability. As part of this service we manage an umbrella of suppliers for our customers where RAINEY ENGINEERING SOLUTIONS become their integrated partner for all their tooling requirements. 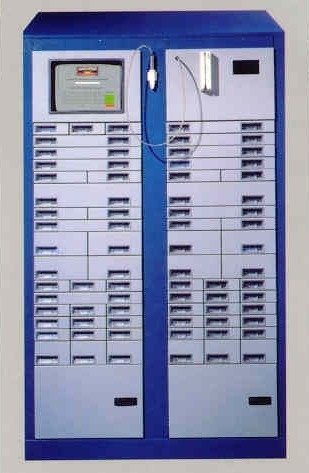 Our vending machines provide a secure, reliable, locked storage cabinet to dispense tools on a 24/7 basis. The vending machines issue a wide range of items from high value cutting tools to high volume ppe as well as managing repair tools. An extensive reporting system allows the customer access to information on the value of the tools being used by a particular machine or operator. This information can then be used to highlight areas for improvement to increase productivity & reduce costs.